I am a boy and the masculine image or stereo type suggests that I should be all macho ,masculine rugged and fearless. However I must confess that even we boys dread quite a few things and pimples is right there at the top of that list. It makes you look and feel bad. I for one always feel that everyone is looking at me or rather my pimples only. Whenever I pass by people who are cutting jokes or laughing I always felt that my pimples were the subject of their jokes. Normally I am a fun loving ,calm and jovial person however the breakout of pimples always made me very edgy and self-conscious. We guys always like to impress the girls in our class and try to do stunts on our bikes or do things in class to get their attention however with the occurrence of the first pimple it’s time to take cover and lie low .Normally we like to dress up wear our trendy shades and look like a stud however on "Those Days" when a pimple occur we would prefer to be dead then to be seen with pimples. From our student life we know that some of us are not able to avoid getting noticed with our pimple filled face and end up being nicknamed "Pimply" I remember the sister of a friend of mine was very conscious about her looks and one day she got what looked like a pimple. Suddenly she got very depressed and locked herself up in her room for days and tried a whole lot of medication, home remedies and what not for her pimples. My first encounter with pimples occurred while I was in school. I was in the last year of school and being in the dramatics society we were preparing for the annual day play. I had a very small role as usual. I was one of the guys in the second last row of the crown. All I had to do was come in front and say “Vande Matram” as it was a play based on Indian Independence. One could say that it was a blink and you miss kind of a role. Then a few days before the day of the play. I got a small pimple . I still remember that I ran straight back home when I discovered a pimple on my forehead. Though tiny it stood out like a tombstone making me feel that my skin was dead. Soon it developed in to a painful rash and more pimples followed. I had visions of other people with pimples being tormented by the pimple epidemic. I could suddenly related to this pain of humiliation that my elder sister must have felt when she went through this pimple phase. This pain bonded me with all those who had undergone this suffering and tormented by being criticised and being laughed at. When I could no longer hide in my room I went to my mother for help. At that point she was sitting with her mother. Seing me in so much distress that tried to console me and assured me that it is not the end of the world. To make my mood lighter they related to me their ordeals with pimples. Though hated to the core the pimple had brought me,my mother and grandmother closer to each other bonding us with a bond that only those suffering from pimples can understand. My grandmother told me that she had used local herbs and extracts to get rid of the pimples it was a long and elaborate task but by now great advances have been made and she has experienced the power of Active Neem face wash by Garnier to get rid of pimples effectively. So a tube of Garnier active Neem face wash was bought and I started using it. By the day of the play there was no sign left of the pimples on my face. I am an avid motor enthusiast and whenever it comes to buying a car the first thought that comes to my mind is that I want to own a sporty car. A car that makes me feel one with itself. A car that could give me the adrenalin rush when I press the accelerator and leave behind the city rush . That honking traffic jams and crowed streets for the vast open green country side. A powerful sporty vehicle would make me glide through picturesque terrains and a good suspension coupled with powerful shock absorbers would make my ride smooth on any road from Kashmir to Kanyakumari. 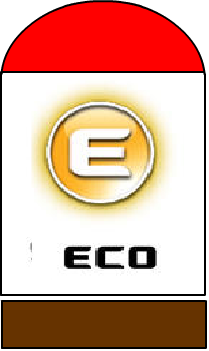 However a part of my brain whispers to me the word “Fuel Economy” .It wants me to consider buying a car that gives me a fuel efficient drive. It wants me to choose a car that would give me maximum mileage out of every rupee that I spend on buying fuel. Then another part of me draws my attention to the harsh reality of city driving that on most days I would be driving on city roads that are choking with traffic and there is bumper to bumper traffic .So I would need a car that is designed to run well in city driving conditions. Luckily to answer all three of my needs comes a car that addresses all these needs. The car is TATA Motors new TATA BOLT. 1) It is fitted with a Revotron 1.2T Engine. 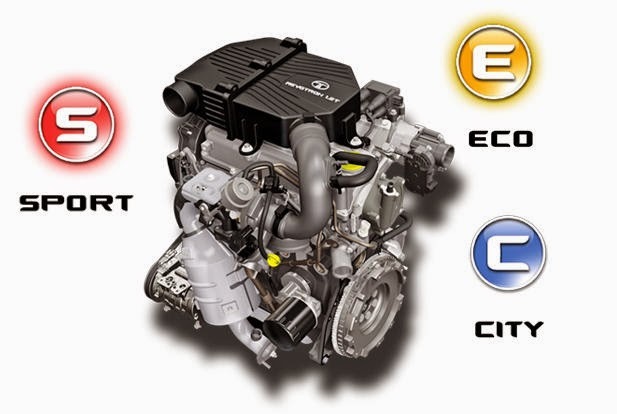 This is India’s first 1.2L turbocharged MPFi petrol engine which delivers peak torque of 140 Nm @1500 - 4000 RPM and max power of 90 PS @ 5000 RPM. 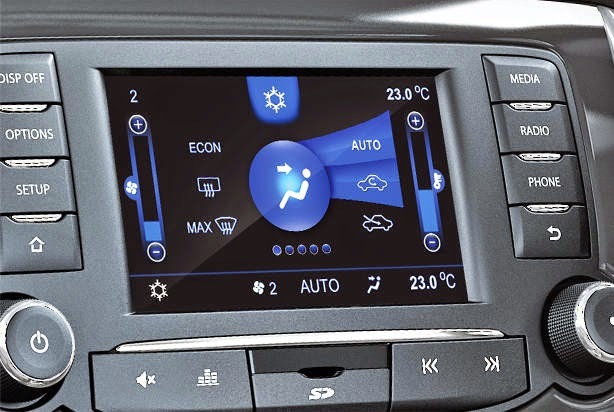 What this translates in terms of driving experience is that it offers three driving modes thanks to its Multi-Drive Feature .This features enables the driver to switch between three different driving modes depending upon the requirement the mode can be changed to SPORT,ECO or City mode. That is it gives you the power of 3 engines in one. 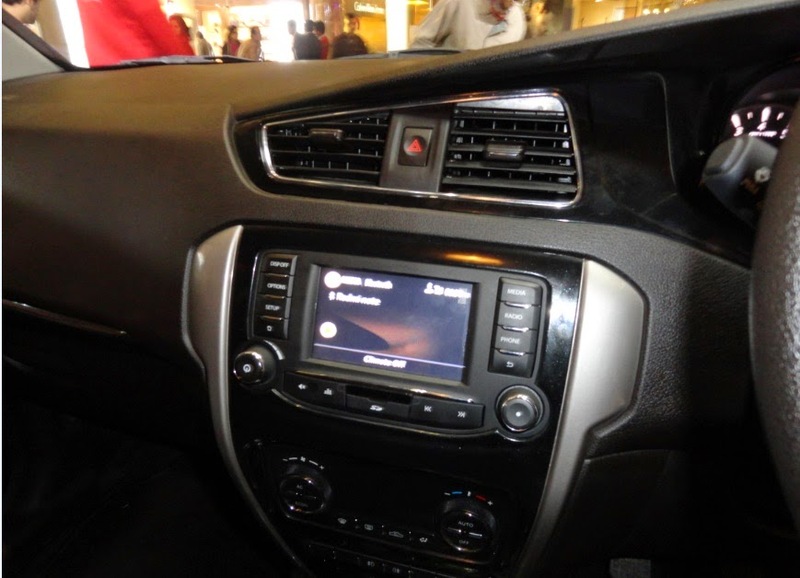 2) I love it for the connectivity and the entertainment console that comes with the car. 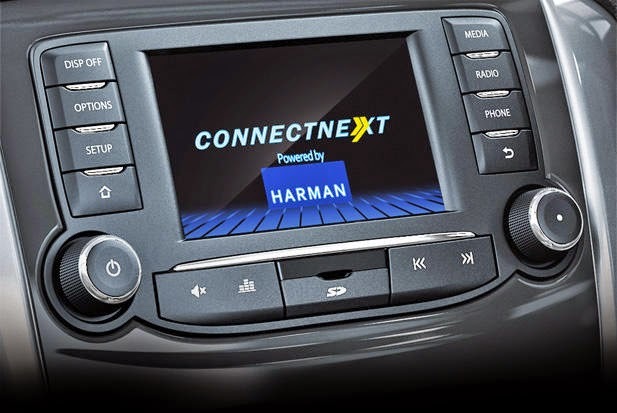 Sitting on the drivers seat I see the CONNECTNEXT TOUCHSCREEN INFOTAINMENT BY HARMAN™ looking at me with a welcoming smile. It is a technological marvel that gives you control on your connectivity as well as entertainment. My first thoughts were wow this feels like the personal entertainment console of a premium first class or business class seat except that this console can do much more. 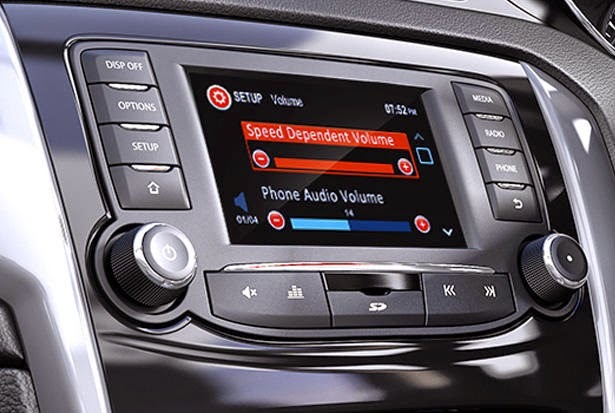 Not only is this a touch based navigation system but also can take voice commands to search radio channels.It gives a number of options to connect to various types of media and playback options. 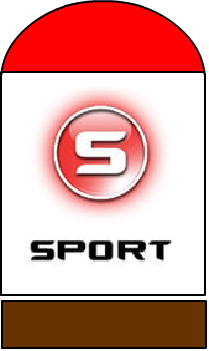 One can play the radio channels or play back media and images from a SD card or those present on our Android phone. 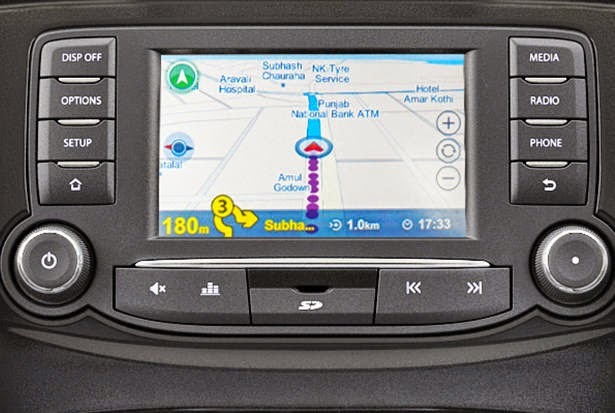 I would like to say that I found the Navigation system to be the biggest attraction as the strategically located screen gives navigational directions without taking eyes off the road ahead. The sound quality of the speakers was incredible and offered an immersive experience. 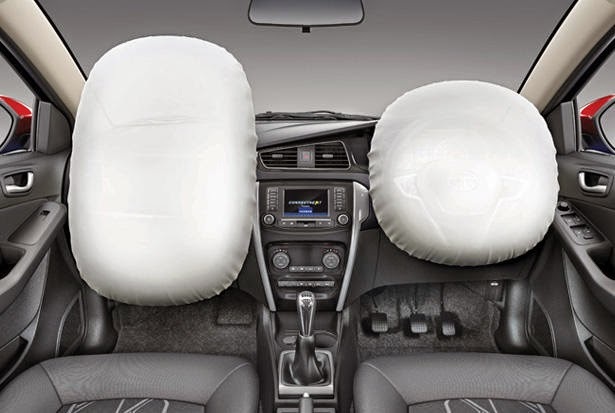 3) Whenever I buy a car the first thing that I check is as to how how roomy is the car. For me the seats have to be comfortable and there should be plenty of leg room when I am driving or sitting in the rear seat. 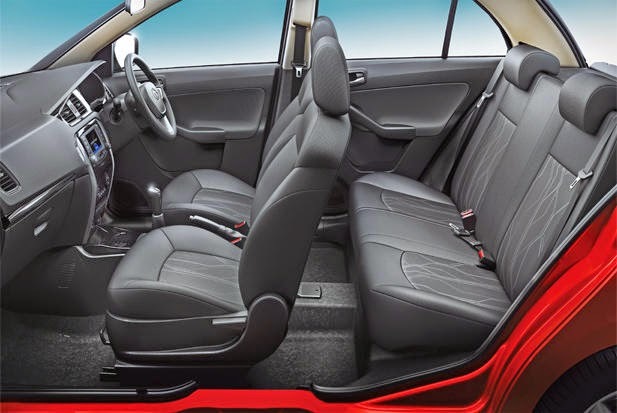 Bolt provides a spacious inside cabin that gives ample personal space and one does not feel cramped for space. 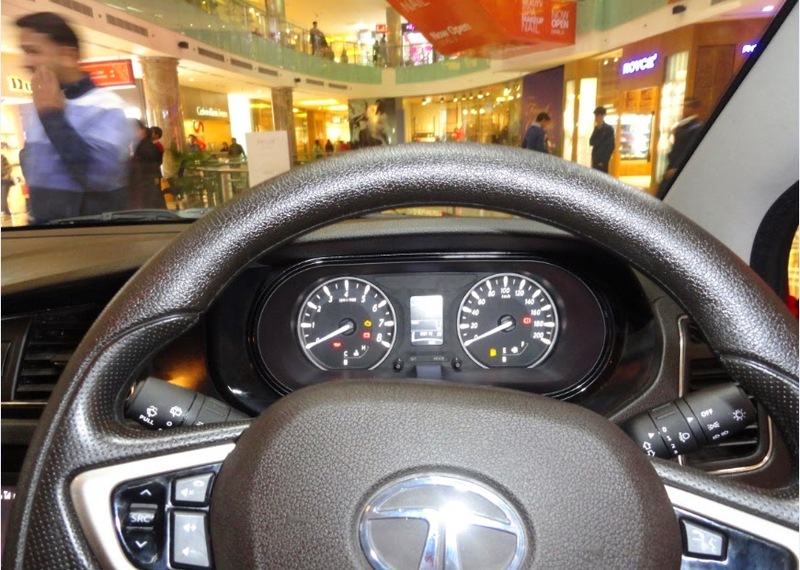 Another important feature for me is that how is the view of the road from the drivers seat. 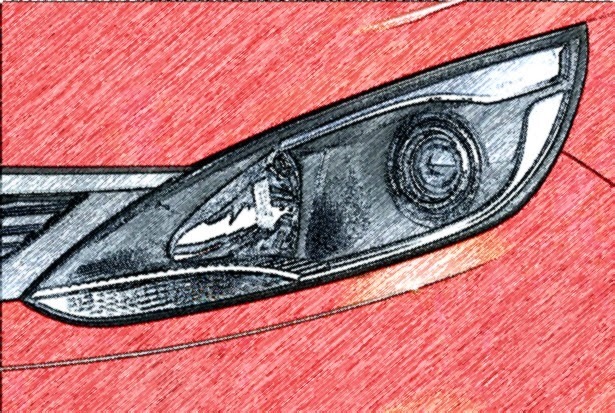 On this count also TATA’s BOLT scores well as one gets a good view of the road through the front windscreen. What caught my attention is the joystick like control to adjust the outside mirror that is used to view the approaching traffic. 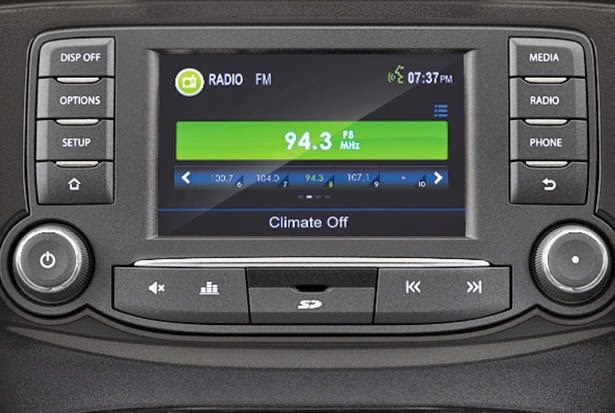 The AC is fully automatic with controls on the touch screen. 4). When car are designed to move faster and there is perpetual traffic on the road then safety of the person driving and those seated in the car is of prime importance. 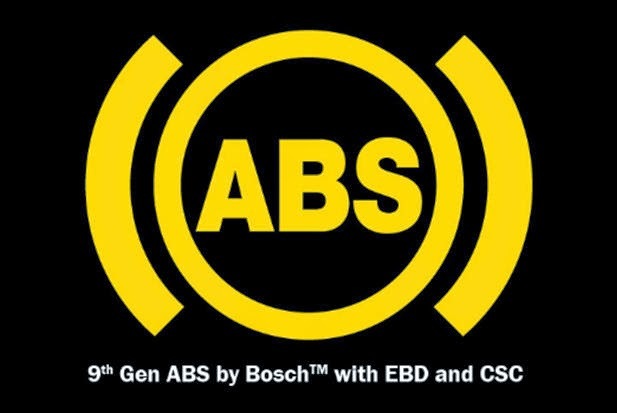 TATA BOLT is fitted with one of the most advanced ABS or Anti-Lock Braking System by BOSCH. 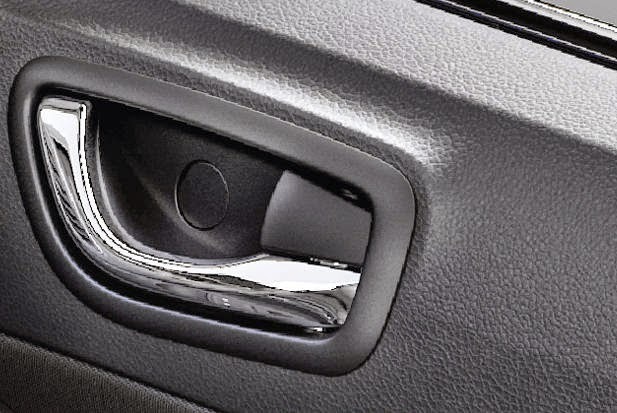 What this does is that in case of emergency braking, it senses the wheel speed and prevents wheel lock-up while braking. This maintains better directional control on the road. The CSC feature improves safety while the driver negotiates tight turns. So many of us have experienced that when we are driving in foggy conditions and look into the rear mirror to view any approaching vehicle we find a coat of fog or mist deposited on the outside of the rear mirror. The SMART REAR WIPER is present to care of all those reversing in foggy or rainy conditions. 5). Design. My car has to be comfortable on the inside and good looking on the outside. It has to be something that I am proud to be seen with. As the car we drive makes or mars our personality. 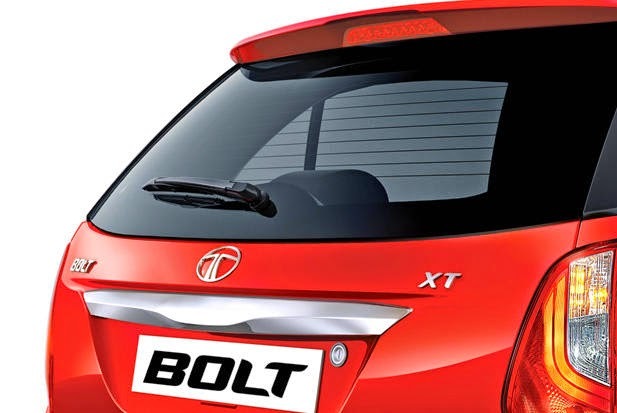 The design and styling of the new TATA BOLT make it an eye catching vehicles with smooth curves and elegant finish. 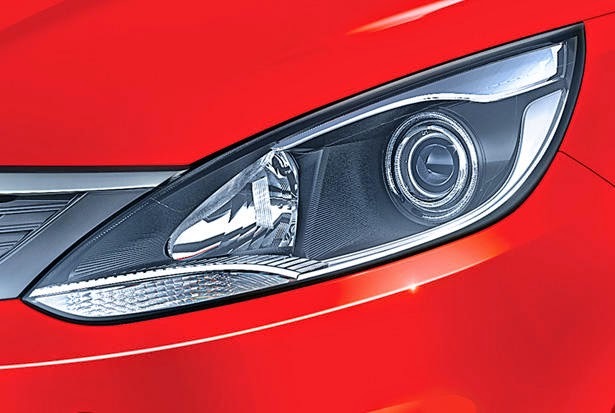 The headlights give a car its personality and smoked projector headlamps of TATA BOLT not just illuminate the road ahead but also make a style statement. 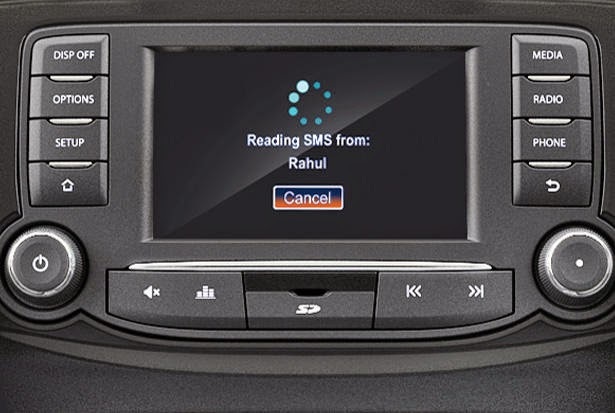 It gives the car a stylish look and announce the arrival of a car that means business. They make the car look intelligent, strong and powerful, one gets the feel that it has only one agenda, the safety of the passengers and gives you the power to rule any road. 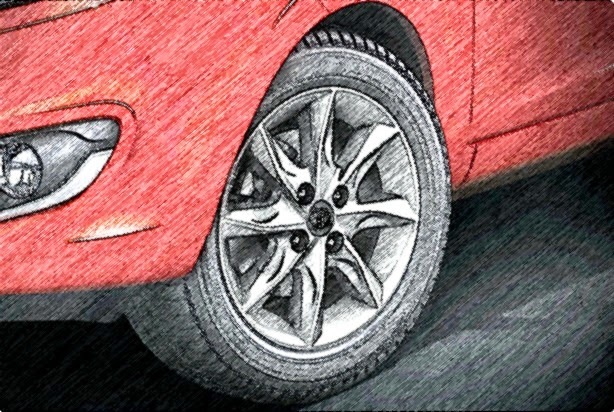 My overall experience of TATA BOLT is that it a spacious compact car that offers many firsts in its class. 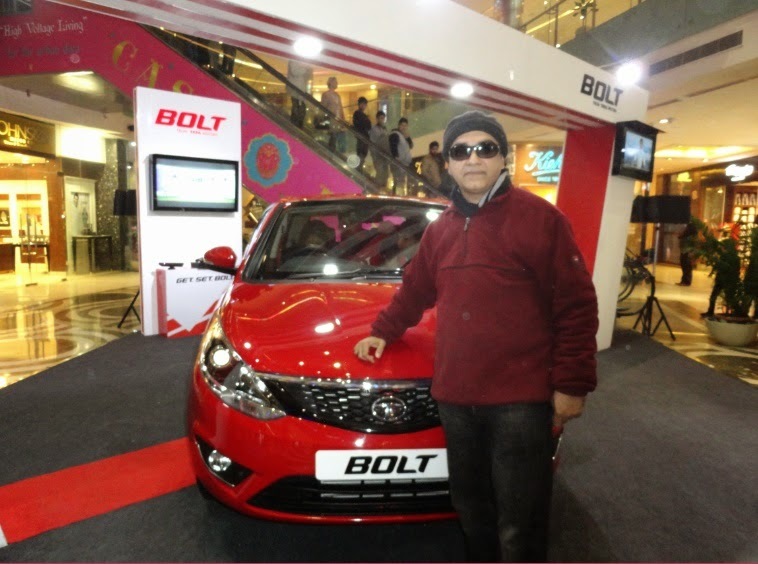 I am sharing my TATA BOLT experience through the above video. i.e Deliver a special Valentine's message in a remote control toy to your crush! I am not the type to believe in love at first sight and I never thought that I would be caught in this predicament ever. However ever since I have laid my eyes on ASUS EeeBook X205TA my heart has flipped for it. I am smitten by its sleek design.This curvaceous trendy Eeebook from Asus is a sure shot head turner.However with an Intel ATOM processor this diva promises to be a beauty with brains. It has an optimized battery life for all day computing. So even without a recharge one can use it for 12 hours of web browsing or 13 hrs of music play and if you are a movie buff like me than this device offers 11 hrs of video play.This feature makes it a perfect device for those on the go.It is also the device of choice for people living in remote areas where frequent load shedding is experienced. A per-installed Microsoft office 365 comes with this device.This makes it a serious business machine as well.One can connect to the office and collaborate with team members.This is a boon for touring professionals,onsite workers and stay at home workers. The presence of this software bundle on a device that is strategically priced to beat competition and makes it a serious contender for the best device in this price segment.This power packed ASUS EeeBook X205TA is priced at Rs 14,999 at the time of writing this post. This compact and light device weighs less than 1 kg.This comes preinstalled with windows 8.1The ASUS EeeBook X205TA is powered by the Intel Atom processor Z3735F which has upto 1.8GHz, 2M with Quad core.The display is a 29.4cm that is 11.6 inches HD Glare display. It provides crisp images and video play powered by Intel Gen 7 graphics.This mean machine has 2 GB DDR 3 1600 RAM and 32 GB EMMC storage.This beauty comes in dark blue, red, gold,white.Its designed to be ultra thin with only 1.75 cm thickness. Its 29.4cm display with a narrow bezel width of 1.45 cm design makes it a classic beauty that offers a great viewing experience.Its Quad – Core processor ensures smooth multitasking performance. It has a 36% larger touch pad. It comes with a 500 GB cloud storage which is free for two years, this is offered by Asus web storage.It also has 1 TB Microsoft 1 space drive free for one year. All these features make it a must have device. A perfect technology companion to go with this device is the Asus all-in-one PC ET 2040. It is simple, versatile and very powerful.It has a built in UPS with one hour of power backup.It's ergonomic space saving design has an innovative gesture control feature.The power backup built in to the device would ensure that there are no data losses due to sudden power breakdown. If I were to propose to my valentine how would I do it ? Hey this is not a hypothetical question for me. All those who are in love would agree that we look for subtle ways for declaring our love for our beloved . However when it comes to the valentine day its time to pull all stops and declare the love for your beloved in style. However for me it won’t be about going and giving a bouquet of flowers and expressing my feelings. For my beloved it has to be something special .Do my bold move and show my feelings for my special one. However being bold is relative I want to portray my feelings for my special one without embarrassing her or making her uncomfortable This is really important as I do not wish to bring any discomfort to her. Also knowing her for long I know that behind her tomboyish exterior lies a soft romantic to the core and this inner beautiful person is whom I want to woo and bring out. With this intention I have thought of a series of events to surprise her. Build up the excitement and then bring forth my proposal in style. I know how much she likes to eat a Pizza so I would get her favourite piping hot pizza delivered to her for breakfast. (Yes she actually loves to start her day with a pizza.) However the twist would be that this would be a pizza with a half heart made on it. This would get her curious as there would be no note to tell her who has sent her the pizza. Next a person would deliver her favourite coffee that too will have a half heart made up of cream and chocolate. Again there would be no note or message as to who has ordered and sent her the hot brew so this will enhance her curiosity further. Now it would be time for her to go out for her morning gym and as she reverses her car an audio recording normally plays a pre recorded message which says watch out this car is reversing and I would have changed the message to dear Anjali (name of my valentine) someone feels you are really special and this person would be waiting for you at sunset point at 5 P.M. Now I know two things about Anjali , one that she is a die hard romantic and secondly she is very curious . Both these qualities would ensure that she would go to my desired destination . When she reaches the destination a series of arrows would guide her to me ,Where I would be waiting for her with her favourite flower that is a red tulip and a cake with two separate half hearts, and I would tell her that without her my life is incomplete like the half heart and request her to be my valentine.and make my life complete. 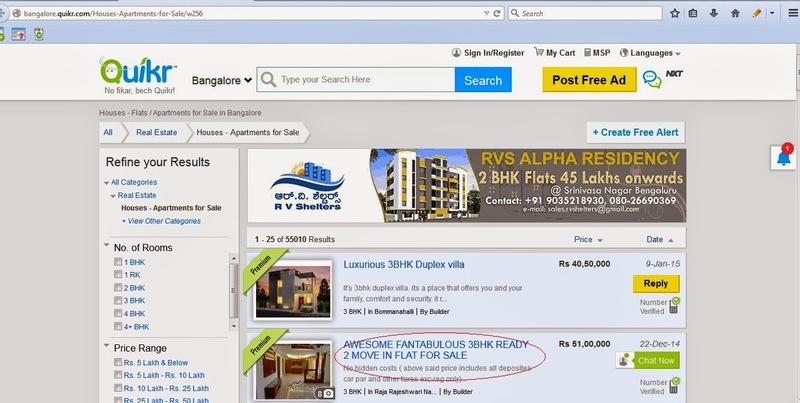 If you were relocating to Bangalore, how would you use bangalore.quikr.com to your advantage? Looks like this site has been designed to meet all my needs. However once I have a house the next thing that I would need is the furniture. As I browsed through the section http://bangalore.quikr.com/Home-Office-Furniture/w218 I saw a long list of home furniture on sale in Bangalore. I thought with a new home and furniture in sight I must inform my friends in Bangalore about my transfer to that beautiful city. When I called up my friends and gave them the good news they asked me if I needed any help in settling in what would be a new city for me. I told them that I had shortlisted a few houses and furniture on http://bangalore.quikr.com .My friends were greatly impressed with my foresight and asked for a House warming party. Indeed I said however that would require kitchen appliances so again I took the help of http://bangalore.quikr.com/ and browsing through the section of Kitchen Appliances http://bangalore.quikr.com/Home-Kitchen-Appliances/w221 I found a wide list of choices in terms of kitchen appliances and electronics. The next thing that remained was that I buy a TV and a laptop there because if I were to take away the TV then what would my parents watch here as they were not moving with me. If I were to take the laptop with me then how would my brother do his college projects? 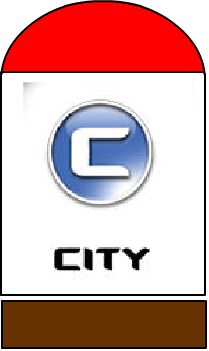 To resolve this issue I again took the help of the quickr Bangalore site and found an exhaustive list of TV’s and laptop’s here http://bangalore.quikr.com/Electronics-Appliances/cId-18222212657 I was surprised to find that within my budget there was so much choice. Now it was time to go back home and break the news to my parents. Upon hearing the news my Dad was concerned as to how will I commute without a bike. When I showed him the wide ranges of bikes that I could buy here http://bangalore.quikr.com/Cars-Bikes/cId-262 he was so impressed that he straight away decided to finance my purchase. However my mom was still concerned as to how and where would I live in Bangalore. Her concerned were laid to rest only when I showed her the pictures of the houses and apartments that I could rent. .Now I had to break the news to one final member of the family without whose consent I could not possibly embark upon my journey. This person happened to be my younger sister. When she got the news all hell broke loose. She insisted either she would not let me go or accompany me to Bangalore. My father asked her that what would she do in Bangalore ? He even jokingly said maybe you are planning to start a career as a heroine in movies down south. To which she quickly retorted why not ? and opened the site http://bangalore.quikr.com/Acting-Modeling-Roles/w18222212534 and showed us all the opportunities for acting and modelling listed there. We all started laughing and this eased the tension and I moved to my room making a list of all the things that I would need to buy from http://bangalore.quikr.com/ to make my home away from home in Bangalore.